Buy the PrimaDonna Swim New Wave Bikini Set in Clash. Discover more PrimaDonna swimwear online now at Victoria’s Little Bra Shop. Bra Size 32E 32F 34E 34F 36E 36F Please select a size before adding to the basket. Brief Size L (Full) S (Rio) M (Rio) Please select a brief size before adding to the basket. 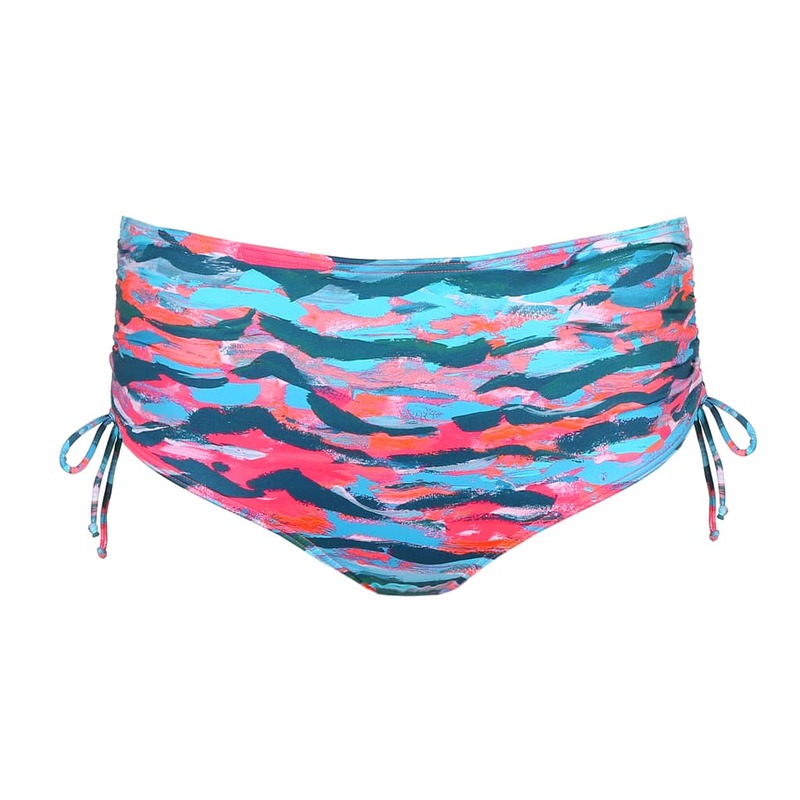 Add a splash of colour to your swimwear collection with the vibrant PrimaDonna Swim New Wave Bikini Set in clash. The wonderful mix of blue and bright pink has got us dreaming of an exotic holiday! The padded balcony bikini top supports your bust, just like a bra. The integrated underwire and soft foam cups ensure great uplift and support. While the balcony shape is cut slightly lower to give a fantastic cleavage. What’s more, the pretty straps can unclip at the back to create a halter neck. The gorgeous PrimaDonna New Wave Bikini comes with two styles of briefs to choose from. The matching rio brief are cut slightly higher to give the illusion of longer legs. Also, they offer medium front and rear coverage in a flattering hipster style. Alternatively, opt for the full brief which offer full coverage and boast adjustable sides for the perfect fit. Team with the matching PrimaDonna Swim New Wave Kaftan when heading to the beach or poolside bar for a truly on-trend ensemble. 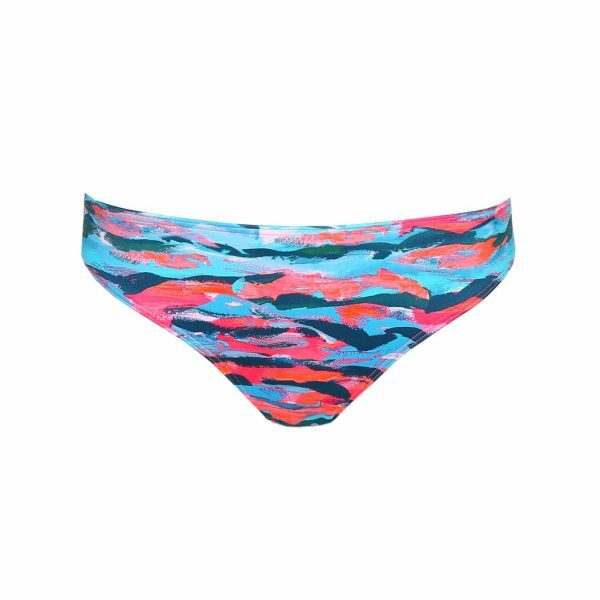 Vibrant print – Adorned with a striking print, this bikini top will instantly brighten up your swimwear collection. Moulded cups – With built in underwire, these cups support your breasts like a bra, so you get the shape you need. Multiway straps – Choose between the standard straps or unclip the back to create a halter neck – great for versatile styling.